Auto Insurance: Insurance that protects the policyholder against financial loss in the event of an incident that involves a car or truck they own, such as in a traffic collision. Typical coverage includes: a) Property coverage; for damage or theft of a vehicle, b) Liability coverage; for the legal responsibility to others ford bodily injury or property damage; c) Medical coverage; for the cost of treating injuries, rehabilitation, loss wages, and funeral expenses. Accident: An accident occurs when a vehicle collides with another vehicle, pedestrian, animal, road debris, or other architectural barrier. Accidents can result in injury, property damage, and even death and are unexpected or happen by chance. Accident Benefits: Medical or income replacement benefits to insured persons injured in an automobile accident regardless of who caused the accident. Actual Cash Value: A form of insurance that pays damages equal to the replacement value of damage property minus depreciation. Adjuster: An individual who investigates and negotiates the settlement of an insurance claim. This person is usually employed by the insurance company or is an independent contractor. Agent: An individual who is licensed by a state to sell insurance for one or more specific insurance companies. Anti-Theft Device: A device that reduces an automobiles chances of theft or vandalism. Examples of these include: vin etching, keyless entry, starter disablers, car alarms, and recovery systems. Appraisal: An estimate of the damage to a vehicle or asset and the cost to repair or replace the item. Binder: A temporary insurance certificate to prove you have coverage until your new policy number is issued. Bodily Injury: A physical injury to another person’s body due to an automobile collision. Cancellation: The termination of an insurance policy before the expiration date. The policyholder can terminate a policy at anytime or the insurance company can terminate for non-payment of premium. Claim: A request for payment from an insurance company by the insured. The insurance company investigates the claim and pays the appropriate amount if the claim is found legitimate, or denies the claim if it determines the loss was fraudulent or not covered under the policy. Claimant: An individual who makes an insurance claim. Claims Adjuster: An individual who investigates and negotiates the settlement of an insurance claim. This person is usually employed by the insurance company or is an independent contractor. Collision Coverage: Financed vehicles typically require collision coverage. Collision coverage pays for repairs if your vehicle is in an accident of if your vehicle is damaged. Comprehensive Coverage: This coverage pays for damage that is typically out of your control such as: vehicle theft, vandalism, burns, or if you were to strike an animal. Comprehensive insurance pays for repairing or replacing auto glass windows and windshields. Many Arizona policyholders may carry a $500 comprehensive deductible with full glass coverage. Meaning, a zero deductible on glass. Arizona is just one of the few states that offer this coverage. Compulsory Insurance: Coverage that is required by law. Most states require automobile drivers to carry a minimum amount of liability to drive. Conditions: Provisions that set forth the rights, duties, and responsibilities of the parties to an insurance contract. Conditions can be found anywhere in a contract. Damages: A legally obligated sum of money that one is required to pay for compensation to injury. Declarations: A statement that an insured makes (declares) about loss exposures in an application for a policy. For example: in a personal automobile policy, the applicant states his/her name, address, occupation, type of automobile, expected mileage per year, etc. The insurance company uses this information to set a premium rate. Deductible: The amount of money that the policyholder must pay out of their own pocket before reimbursement from the insurance company begins. If the cost of replacing your auto glass is less then your deductible than it would be best, not to go through insurance. However, in Arizona, many policyholders carry “additional” glass coverage that waives any deductible for glass claims. Arizona is one of the few states that offer this coverage. Depreciation: The amount that an insurance company will deduct from payment for a stolen or damaged vehicle based on the automobiles usage, wear and tear, and time. A decrease in an automobiles value over a period of time. Effective Date: The date that an insurance policy begins or the date that you started coverage. Endorsement: An amendment or additional requirement that provides the policyholder extra protection beyond the provisions contained in a standard insurance agreement. Exclusion: Conditions or circumstances under which your insurance company will not pay a claim. An exclusion of certain persons, property, perils, or locations that are written in the insurance contract. Expiration Date: The date that the insurance policy or contract will end. First Party: The policyholder or insured named on the insurance policy. Hit and Run: An accident caused by someone who does not stop to exchange policy information or aid in injuries. Immobilizer: An electronic anti-theft device that prevents thieves from steeling your vehicle. Indemnify: Compensation for an injury, loss, or damage; in whole or part, by an insurance company. Insurance: Insurance purchased by the owner of a vehicle to cover losses due to traffic accidents, theft, or any other damage. Insurer: The insurance company or person who provided the coverage. 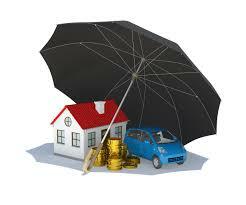 Insured: The person whom carries insurance coverage is protected from financial loss. Liability Insurance: Liability insurance pays for damages or losses to the other party’s vehicle if you are the responsible party of the accident. Liability insurance only pays for damage to the other vehicle not your own. Liability Insurance Limits: The maximum amount that the insurance company will pay the policyholder for liability coverage. Loss: Damage that is covered by your insurance company. Loss of Use Insurance: Coverage against expenses incurred as a result of damage to the property insured resulting in the need to replace the property on a temporary basis. In automobile insurance this might refer to the cost of a rental car while the insured vehicle is under repair as the result of an accident or theft. Medical Coverage: If you or your passengers are injured in an accident, medical coverage pays for hospital, doctor, and other medical bills regardless of who caused the accident. No-Fault Insurance: Payments are made for the personal injury and death regardless of who was at fault for the car accident. Occurrence: An accident, including continuous or repeated exposure to substantially the same general harmful conditions. Optional Coverage: Insurance coverage that is not required by law. For automobile coverage this would include comprehensive and collision coverage. Partial Loss: A loss that does not completely total the insured car that is covered by the insurance policy. Personal Lines Insurance: Auto or home insurance for individuals; as distinguished from commercial lines insurance for businesses. Physical Damage Coverage for Insurance: Damage to your covered vehicle from risks including collision or distress with another vehicle object, vandalism, fire, and theft. Policy Expiration Date: The date the current insurance expires. Policy: A contract between the insurance company and the policyholder which determines the claims which the insurance company is legally required to pay. Policy Period: The period time that the policy is in effect. Standard policy periods are six to twelve months. Policyholder: The insured. The named insured who carries the insurance coverage. Premium: The payment made for insurance. Property & Casualty: Also know as non-life or general insurance. Casualty insurance primarily covers losses arising from accidents that cause injury to other people or damage to the property of others. Property insurance covers loss or damage through fire, theft, floods, storms, and other specified risks. Property Damage: Damage or destruction of public or private party, caused either by a person who is not its owner or by natural phenomena. Property Damage Liability: Motor vehicle insurance that pays for damage the insured vehicle does to the property of others. Quote: Estimate for the cost of insurance based on disclosed information given to the insurance company and the requested coverage’s. Rate: Premium amount to be charges for automobile insurance established or reviewed by the government. Recovery: The amount of money or valuables that the insurance company obtains through salvage, subrogation, or reinsurance. Renewal: The process of keeping a policy active with no disruptions through the issuance of a renewal policy. Rental Car Coverage: This coverage can be used to pay for a rental car when your vehicle is damaged and inoperable for a specified period of time. Rider: An amendment or additional requirements that provide the policyholder extra protection beyond the provisions contained in a standard insurance agreement. Second Party: The insurance company or (insurer) that issues the policy is considered the second party. The first party is the policyholder or insured. It takes to parties to form a legal contract. Subrogation: When an insurance company has paid for a loss for which someone other than the policyholder is responsible, it may have the right to recover this loss from the guilty party. This right is call subrogation. Third Party: Typically the third party is the individual who was injured or whose property was damaged by the first party. A person who is not a party to the insurance contract. Tort: A “civil” wrong that entitles the injured party to recover money damages from the responsible party. Tort Feasor: The who commits the tort. Towing Coverage: This coverage pays for towing expenses when your car is damaged or disabled. Underinsured Motorist (UIM) Coverage: If the other driver is at fault for an accident, Underinsured Motorist coverage protects you and your family up to your coverage limits if the at-fault driver does not have enough liability protection to pay for your injuries. Underwriter: The insurance representative who reviews your application and decides whether you can or will be covered. Underwriting Rules: The rules individually determined by each company to assess the rick for providing insurance coverage for the insured. Uninsured Motorist (UM) Coverage: If the other driver is at fault for an accident, Uninsured Motorist coverage protects you and your family if injured by a hit-and-run motorist or a driver who has not purchased liability insurance. Vehicle Identification Number: is a unique 17-digit combination of letters and numbers assigned to each vehicle that identifies the vehicles year, make, model, and other manufacturer’s details.